While HCG is present in your body, cosmetics that contain fats and oils must not be used because when they are applied to the skin, they are absorbed and interfere with weight reduction. They add calories to the body just as if they had been eaten, crazy stuff, right? This incredible sensitivity to this minor increase in nutritional intake (calories) is hard to believe, but it is a fact that should be taken seriously if you want to achieve a satisfactory amount of weight loss. Don’t panic, you can wear makeup while on the HCG Diet. However, it must be oil free and powder based. Foundation powders, such as Bare Minerals and Bare Essentials are highly recommended. Of course, there are some oil-free liquid foundations on the market today, but from our customers’ experience, we recommend you avoid these. One particular very sad customer comes to mind. She called us after 2 days on the low-calorie phase of the diet since she had lost ZERO pounds instead of losing the usual 3 to 6 pounds like all her hcg-dieting friends. After going over things with her, we discovered she was using an oil-free liquid makeup base. She stopped using it and went on to finish the round with a total loss of 17 pounds but just think if she wouldn’t have wasted those first 2 critical days! Take caution when it comes to foundation and use a mineral powder base. As far as other cosmetics, an eyebrow pencil and mascara are permitted. You can use lipstick as well, but make sure to buy cheap lipstick since inexpensive lipsticks are less likely to contain moisturizers. Cosmetics aren’t the only things you need to be careful of. 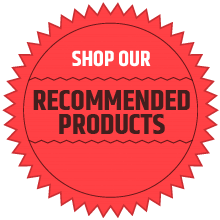 We recommend you avoid all lotions, eye creams and face creams, except those specifically designed for the HCG Diet like the Tiffalina’s personal care brand. Additionally, make sure you don’t touch oils or fats with your fingers, so, for instance, if you need to apply lotion or ointments on someone else or your pet, be sure to wear gloves. Dr. Simeons mentions a participant in his manuscript who suddenly increased a half a pound. After consulting with her, they discovered she had bought herself a new set of make-up pots and bottles and, using her fingers, had transferred her large assortment of cosmetics to the new containers in anticipation of the day she would be able to use them again after the diet. Another case involved a man who had an eye issue. He was using a special ointment, which interfered with his weight loss. After he stopped using the ointment, his weight loss resumed. One of our customers was tired of her dry skin and rubbed cocoa butter over her entire body and was up a couple of pounds the next day. Our advice is to be on the safe side; avoid applying fats and oils to your skin during the HCG Diet! 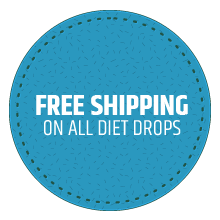 Check out our oil-free diet products on diydietstore.com. We have yummy BBQ sauces, shampoo and more.